Jennie Brannigan and Cambalda at The Fork in 2014. Photo by Jenni Autry. We’re coming down to the wire now, and The Fork basically offers a preview of what Rolex will look like, minus the foreign horses and most of the West Coast horses. A few pairs are skipping this show and headed straight to the main event in Lexington, while other are likely to withdraw after the flat or show jumping. You’ve got main Rolex contenders across three divisions. This weekend, finishing on your dressage score will be key, with my top four finishers all predicted to do just that. Many of these riders are tightening the screws before Rolex, checking the gas and making sure the brakes still respond at full tilt. For the CIC3*, the dressage test will be 2015 FEI 3*-B. The cross country course designer is Tremaine Cooper, and the show jumping course designer is Chris Barnard. 1. Jennie Brannigan and Cambalda: Jennie and Cambalda are about to have another crack at Rolex and, like many others, are using the Fork as their final prep. As one of the most consistent pairs on the circuit, they should return to their winning ways this weekend. While these two haven’t performed this particular test yet, they average a 47.6 on the flat, which will put them in stalking range of the leaders after dressage. Cambalda is one of the few horses at the level who averages a double clear in show jumping, regardless of course designer. Additionally, this pair is quicker across Tremaine’s courses than even their typical swift pace and are likely to come home clear inside the time. Finishing on their dressage score should hand them the win with a score in the mid- to high- 40s. Buck Davidson and Ballynoe Castle RM. Photo by Jenni Autry. 2. Buck Davidson and Ballynoe Castle RM: Prior to Carolina International, these two hadn’t finished outside of the top four in a U.S. event since 2011. Placing 10th at Carolina was a slight slump for this pair, and they are likely to return to their normal placings here. Buck and Reggie executed this test at Carolina for the first time and received a 51.3, which is much higher than typical. I expect they’ll be more likely to score closer to their average of 47.8. From there, they will ride Jennie’s heels all weekend, as Reggie is another typical double clear show jumper. Another pair who favors Tremaine’s courses, these two will lay down a double clear cross country round to take home second, less than half a point behind Jennie and Cambalda. 3. Marilyn Little and RF Demeter: Marilyn and RF Demeter are another pair who can habitually lay down double clear rounds and finish on their dressage score in the 40s. On top of that, they have finished on their dressage score at two previous runnings at the Fork. RF Demeter averages a 48.2 on the flat, although she did score half a point better than that on this test at Carolina. RF Demeter consistently jumps clear when show jumping is held first and has jumped double clear over Chris Barnard’s courses before. Marilyn and this mare are quick normally and have never had a cross country time penalty at this venue. Expect a double clear to put them in third, on a score less than a point out of first. 4. Lynn Symansky and Donner: Lynn doesn’t always run for time and usually saves her quick times for the CCI events. However, she historically does check the gas pedal at the event prior to a CCI. Since Rolex is next for this pair, we are likely to see a quick performance from them here; they won this event in 2013. Donner has yet to perform this dressage test, but averages a 49.4 on the flat, which will let them stalk the leaders. These two jumped clear over the only Chris Barnard course they’ve attempted in the past two years, which was at this venue in 2013. A double clear average for time penalties across Tremaine’s cross country (both times were final CCI preps) means they should finish on their dressage score of just under 50. 5. 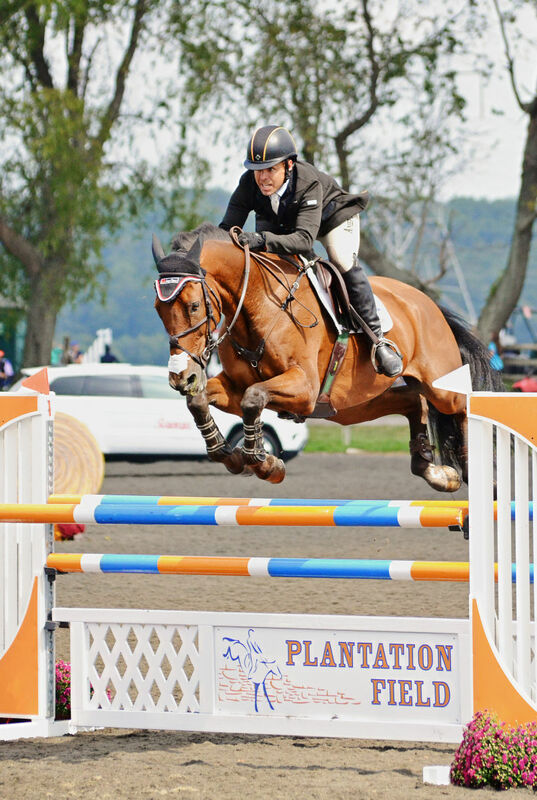 Michael Pollard and Ballingowan Pizazz: Michael and Ballingowan Pizazz had a bit of a rough go on the flat at Carolina, scoring almost 10 points off what they typically do when the gelding succumbed a bit to the weather and atmosphere. We’ll likely see them returning to the flat performance they are capable of, putting them back in the running. Generally, Michael averages a 48.8 in dressage when riding this horse. Ballingowan Pizazz is another very careful jumper and generally puts in double clears, regardless of course designer. 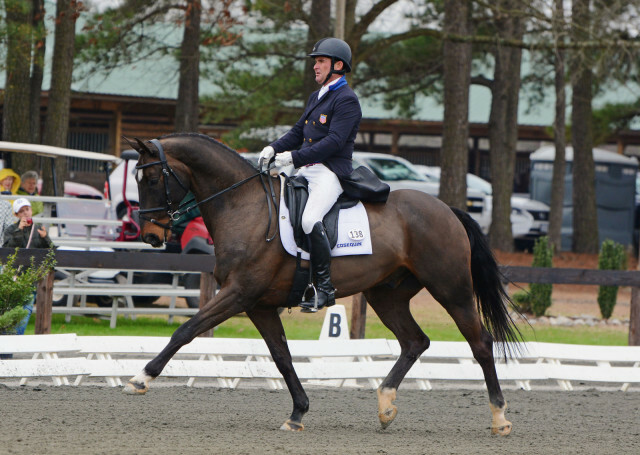 The first in our rankings who isn’t likely to finish on their dressage score, Michael and this horse average 4.8 time penalties across Tremaine’s courses. This will knock them down to fifth, with a score in the low 50s. 6. Buck Davidson and Copper Beech: Copper Beech skipped this event last year as Buck prepped for Rolex with his other horses, but will make his final run here this year before his first CCI4*. Copper Beech hasn’t quite been scoring what he had been on the flat, but he’s a lot faster than he was this time last year. That will put this pair in the top 10. Copper Beech averages a 48.1 on the flat, but scored an uncharacteristic 54.1 on this test at Carolina. 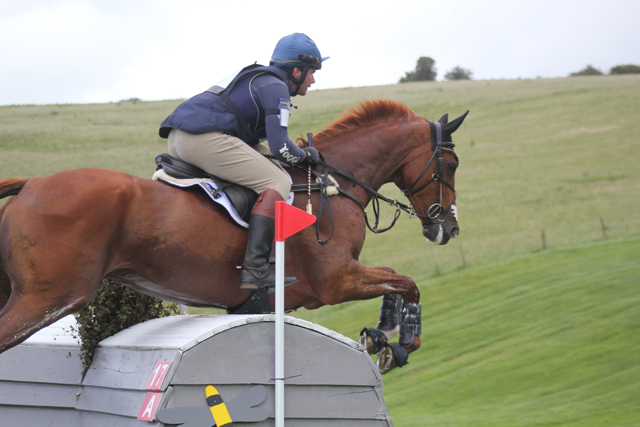 While he is generally a double clear show jumper, he did have one rail over Chris Barnard’s Millbrook course last summer. An average of 7.2 time penalties across Tremaine’s courses will push him down into sixth, with a score in the high 50s. 7. Liz Halliday-Sharp and HHS Cooley: HHS Cooley has been cool and consistent during his time here in the States. Liz will look for much of the same performance from him in his final prep before his first four star in three weeks. An average of 46.0 will put this pair near the top after the first phase. These two had a rail at Pine Top earlier this winter over Chris’s show jumping course. They haven’t seen any of Tremaine’s cross country designs yet, but tend to jump clear with an average of 9.6 time penalties. Liz and HHS Cooley will be breathing down Buck’s neck with a score less than a point behind. Erin Sylvester and No Boundaries. Photo by Jenni Autry. 8. Erin Sylvester and No Boundaries: Erin and No Boundaries are making their FEI debut for 2015, just in time to crack the top 10 in their final Rolex prep. 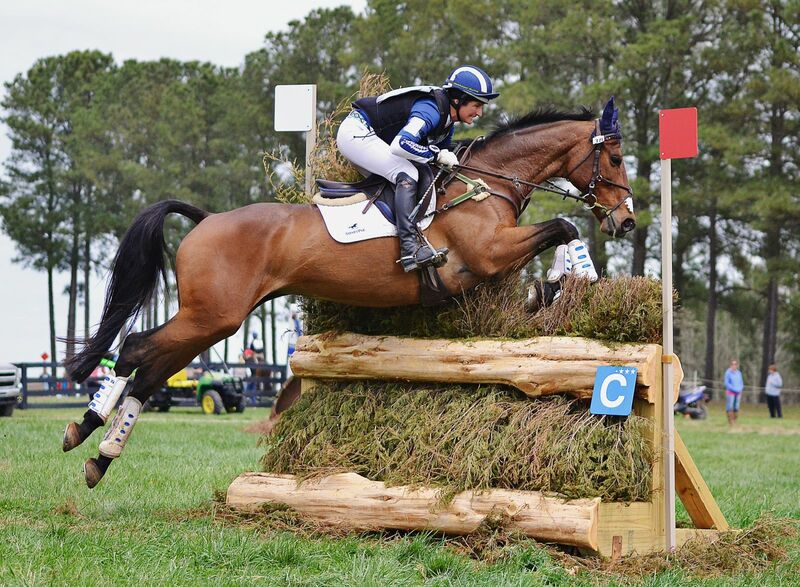 Erin retired No Boundaries the last time out at Carolina after he stung himself in the Stonehenge complex, so she’ll want a solid run heading into Rolex. No Boundaries averages a 54.3 for the dressage phase. An average of one rail over Chris’s show jumps will drop them down a little. However, a swift pace with only 2.4 time penalties across Tremaine’s course will help them snag eighth place with a score just over 60. 9. Mackenna Shea and Landioso: Mackenna has brought her longtime partner east for their final prep before they attempt their first four star. Landioso is no stranger to the East Coast, having completed a successful stint out here last year when Mackenna came out for Jersey Fresh and decided to stay until Fair Hill. Landioso is no slouch on the flat, having an average of 47.2. They haven’t seen any of Chris Barnard’s show jumping courses, but average one rail and three time penalties in the stadium phase. In their first attempt at a Tremaine Cooper course, they should match their average of 6.8 time penalties. Look for them to finish on a score in the low 60s. 10. 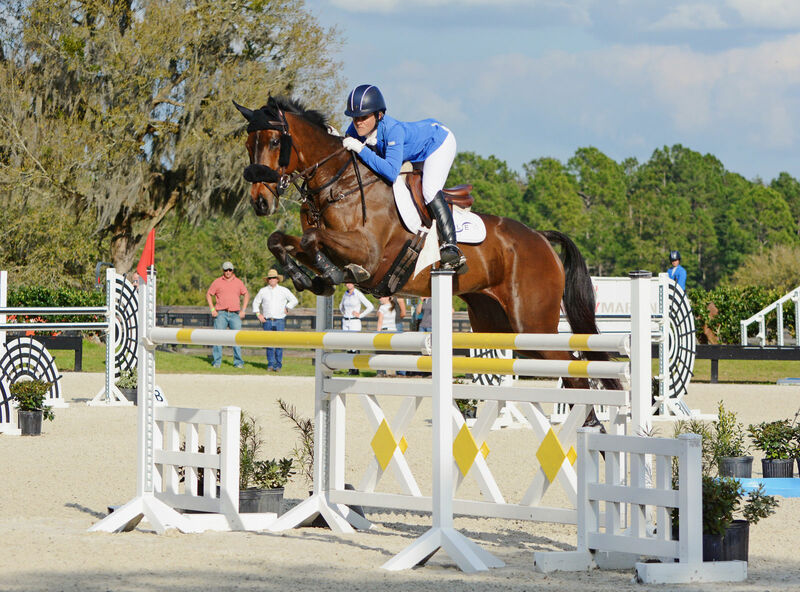 Colleen Rutledge and Covert Rights: Colleen will be quite busy this weekend, with three horses in the CIC3*. Two of them are entered at Rolex, and while Shiraz has the CCI4* experience, it’s Covert Rights who will crack the top 10. Covert Rights averages a very respectable 50.2 on the flat, which will put them right in stalking range. Although Covert Rights usually leaves all of Chris Barnard’s rails in the cups, he does tend towards having four time penalties in the stadium phase. A quick run with only 6.8 time penalties across the country will land them in the top 10, with a score just a hair behind Landioso’s. Boyd Martin and Master Frisky. Photo by Jenni Autry. Boyd Martin and Master Frisky: Overall, Master Frisky’s numbers just don’t put him in the top 10, and yet somehow they keep defying expectations. This horse scores anywhere from a 45 to a 55 in FEI terms. 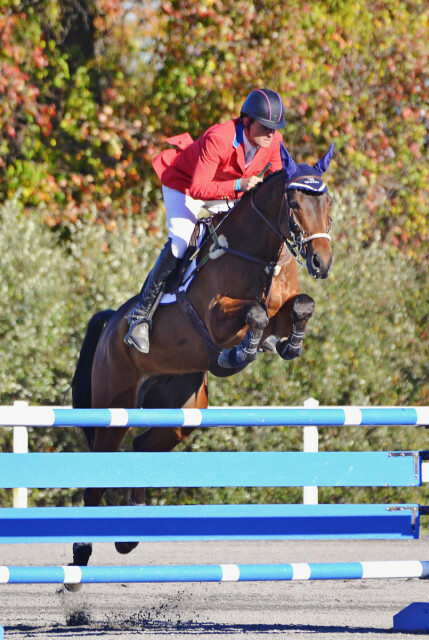 He only recently jumped his first double clear show jumping round at this level in the tough arena at Carolina. Ultimately, though, Master Frisky has started to develop into a top contender because Boyd took his foot off the brakes and put it on the gas. Prior to Fair Hill last fall, Master Frisky averaged 38 seconds over optimum time. 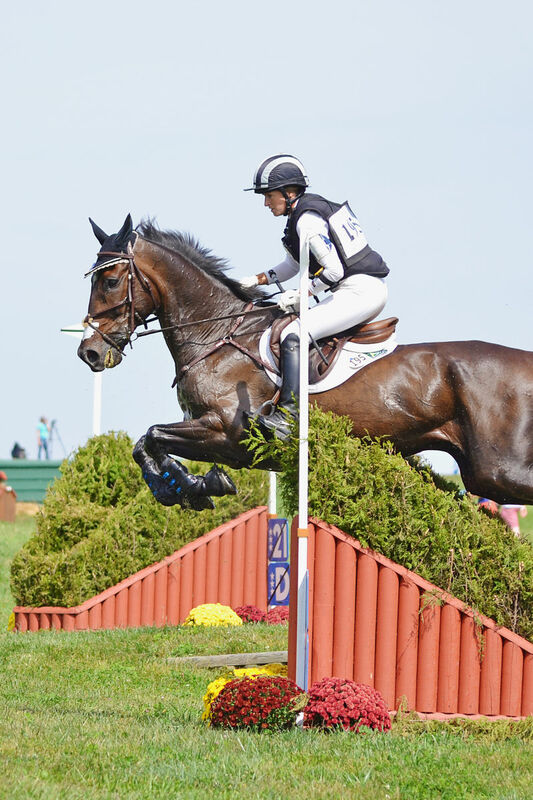 At Fair Hill he was only 5 seconds over and achieved his first double clear cross country most recently at Carolina. If Boyd can keep the dressage under 50, continue improving the stadium performance and maintain the quick cross country, he’ll be a force to reckon with in three weeks. Phillip Dutton and I’m Sew Ready: This horse is another who fluctuates on the flat, this time between low 40s and mid-to-high 50s. However, it is Phillip, so I expect the low 40s will soon be the norm and not the outlier. Phillip has also taken this horse at a quicker cross country pace in each successive run at this level, culminating in a double clear at Carolina. Similarly, Phillip had his first double clear stadium round on him at Carolina as well. If he replicates their Carolina performance, they win. Walterstown Don, with previous rider Clayton Frederick. Photo by Samantha Clark. Michael Pollard and Walterstown Don: Michael has only had one official run on this former ride of Clayton Fredericks, but had a solid go of it, finishing with only four cross country time penalties over their dressage score in the low 50s. Michael is known for his ability on the flat, and I expect we’ll see that starting score go down in short order. As soon as he does that, he’ll crack the top 10, and it will be only a matter of time before they are finishing on their dressage score.